Pictured: Workers at Basil Read mine goes on strike again. 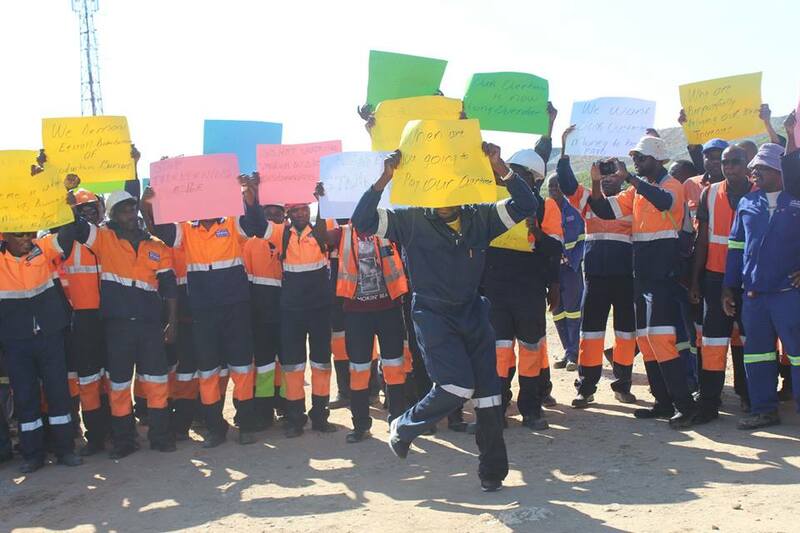 EMPLOYEES of Basil Read Mining at Tsumeb embarked on an illegal strike against poor management, conflicts of interest and inconsistencies in the company. According to the workers they have realized that their management team is not competent and do not have the leadership skills to occupy the positions as they do not listen to workers’ concerns. The employees further claim they are treated like animals. 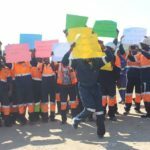 In a petition they presented to management last year, the workers said they were not happy with performance of the company top management and senior personnel, particularly the senior contract manager and pit superintendent. They alleged that certain managers show favouritism and racism towards the workers. Mine workers Union of Namibia Basil Mining branch secretary David Phillip said the workers are on an illegal strike because the action was not approved by the very management they are protesting against. He claims that the decision was made due to poor management skills and inconsistent of management attitudes. “We have tried on different occasions to engage with managers, but all they do is tell us that they will do something regarding management while workers suffer in the process,” said Phillip. The workers are demanding equal treatment from management and the removal of the board of directors for always failing to give clear instructions when issuing warnings. “We are not given clear instructions and are not allowed to even ask a simple question for clarity. Due to that we are constantly given warnings, suspended and dismissed without proper procedures being followed,” he noted. According to Phillip employees want to be treated as one and also deserve equal treatment. He said favoritism among management where some of their colleagues are treated special because they are relatives to management or because of the friendship, however created precedence and showed hypocrisy by Tschudi’s site management. Phillip stated that their demand should be taken as a serious concern, as they are ready to resume their duties as soon as they receive a guarantee of the removal letter of the problematic people in management.